Our documentary, “The Somme: Secret Tunnel Wars” will be broadcast at 9pm on BBC Four on Monday 20 May 2013. 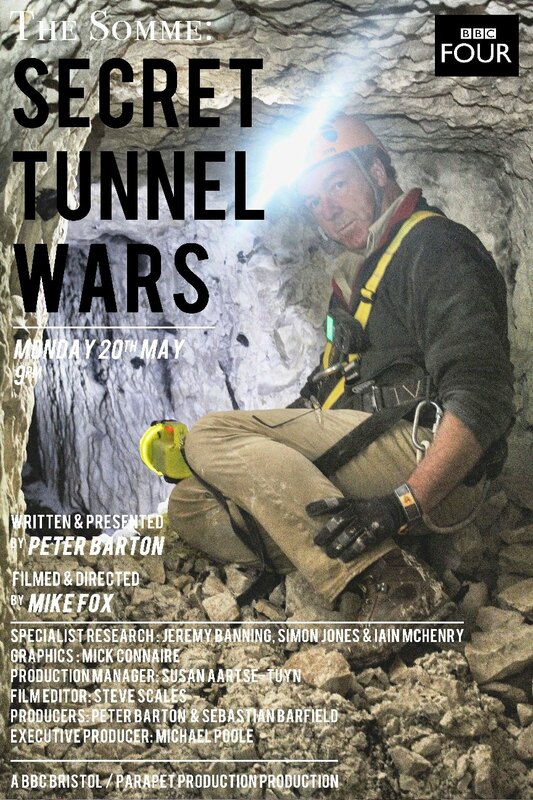 Written and presented by Peter Barton, the film follows the team as we explore the hidden labyrinth of the tunnel system at the Glory Hole, La Boisselle. The team have been working on site since 24 September and have gained access to the 80ft British tunnel system via W Shaft. 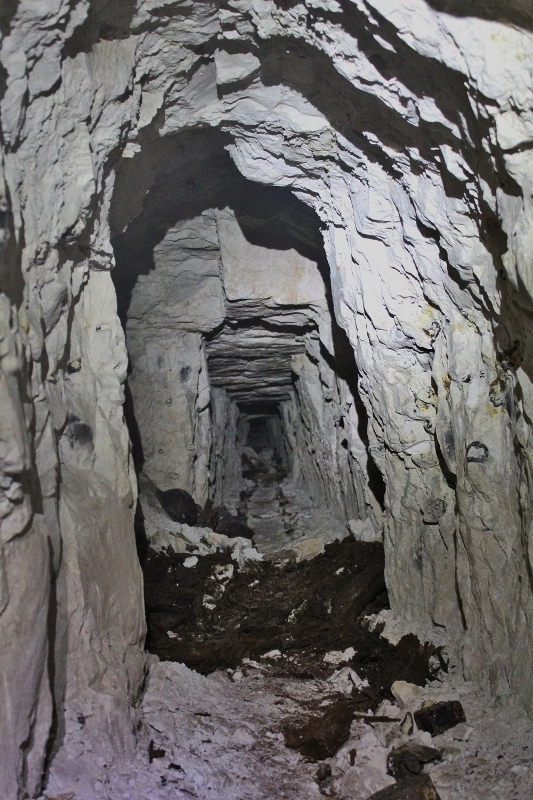 There are three kilometres of tunnels accessible from this one shaft alone. We are grateful to our volunteers for their help during this period – the work would not be possible without them. The site will be winterised over the weekend. Access to the site will not be possible until further notice. Here are a few selected images. More will follow in due course. The website will be updated with details of May and October’s digs in the coming months. The view looking south east along the lateral gallery from the foot of W Shaft. The tunnels are in a remarkable state of preservation. Exploration continues section by section in order to ascertain structural integrity in advance of archaeological survey. 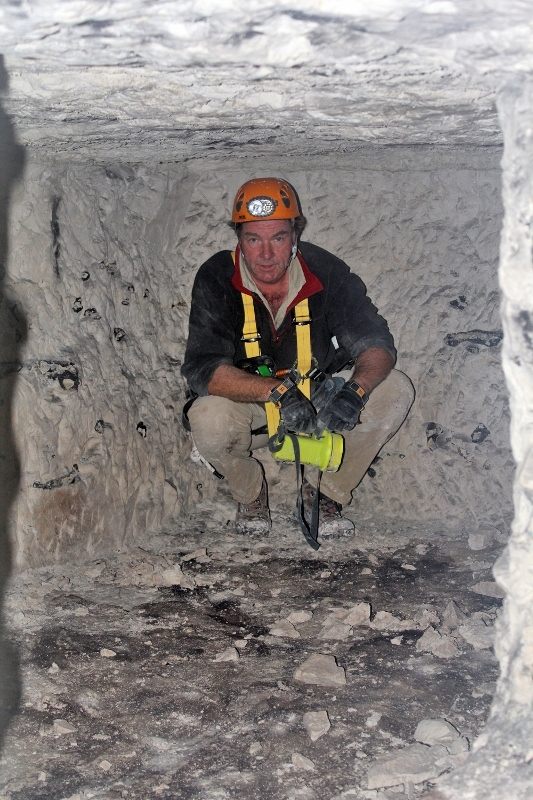 Peter Barton in W2 mine chamber, 80ft below No Man’s Land. The floor was carpeted with sandbags.